At sundown tomorrow night, the Jewish community here in the United States and all over the world will gather to celebrate the start of the new year. Rosh Hashanah offers us an extraordinary sense of possibility because it provides us an opportunity to shape our world for the better. As the High Holidays begin, we look back on all the moments during the past year that gave us reason to hope. Around the world, a new generation is reaching for their universal rights. Here in the United States, we’ve responded to our challenges by focusing on the things that really matter – friendship, family, and community. But this last year was also one of hardship for people around the world. Too many of our friends and neighbors continue to struggle in the wake of a terrible economic recession. And beyond our borders, many of our closest allies – including the State of Israel – face the uncertainties of an unpredictable age. That is why my Administration is doing everything we can to promote prosperity here at home and security and peace throughout the world – and that includes reaffirming our commitment to the State of Israel. While we cannot know all that the New Year will bring, we do know this: the United States will continue to stand with Israel, because the bond between our two nations is unshakable. “On behalf of myself and Laureen, I extend my best wishes to all those who are celebrating Rosh Hashanah. “Rosh Hashanah – or the Jewish New Year, is the beginning of a significant period for Jewish people, known as the High Holy Days. It is a time to reflect on another year gone by through prayer and self-examination. “Most importantly, Rosh Hashanah is a time when teshuva is performed, an act of repentance – taking the time to apologize to those you have wronged, and seeking to better yourself. “During Rosh Hashanah, I hope that all Canadians take the opportunity to join with friends and neighbours and reflect on the innumerable contributions of the Jewish community to our country’s rich and diverse heritage. “I wish the Jewish community a meaningful celebration and hope that the New Year brings you health, peace and prosperity. Au nom de Laureen et en mon nom personnel, je transmets mes meilleurs vœux à tous ceux qui célèbrent Roch Hachana. Roch Hachana, ou Nouvel An juif, est le début d’une période importante pour le peuple juif, appelée Les jours redoutables. C’est l’occasion de méditer sur une autre année qui vient de s’écouler par la prière et I’auto-examen. Roch Hachana est surtout le moment où la techouva est accomplie, un acte de pardon. La personne demande pardon à ceux à qui il a fait du mal et s’efforce de s’améliorer. Durant Roch Hachana, j’espère que tous les Canadiens se joindront à leurs amis et voisins pour réfléchir aux innombrables contributions de la communauté juive au patrimoine riche et diversifié de notre pays. Je souhaite à la communauté juive de belles célébrations et j’espère que la nouvelle année lui apportera la santé, la paix et la prospérité. The Knesset will vote on a bill calling for full Israeli annexation of the West Bank. Deputy Speaker Danny Danon announced Tuesday that the Knesset will take up the bill, which he authored, at the end of October. The bill also nullifies any financial obligations between Israel and the Palestinian Authority that had been established by previous agreements, according to a statement from Danon’s office. “If the Palestinian Authority wishes to proceed on this reckless path and bring further instability to the region, Israel cannot continue to pour funds into this sinking ship of failed leadership,” Danon said, referring to the PA’s statehood bid at the United Nations last Friday. It was submitted in line with a similar initiative in the U.S. Congress offered by Rep. Joe Walsh (R-Ill.), which calls for supporting Israel’s rights to annex the West Bank should the Palestinian Authority move forward with its statehood bid without negotiating. Meanwhile, a letter signed by the leaders of four ruling coalition factions — Likud Party chairman Ze’ev Elkin, Shas chairman Avraham Michaeli, Habayit Hayehudi chairman Uri Orbach, and National Union leader Yaakov Katz — asks Prime Minister Benjamin Netanyahu to annex Jewish-settled areas of the West Bank and calls for increased construction in those areas. The letter also calls for additional sanctions against the Palestinians and not allowing any country that cooperates with their statehood bid to mediate future peace talks. Spain recognized Israel as the Jewish homeland for the first time and called for a peace deal that does not affect its Jewish majority. Spanish Foreign Minister Trinidad Jimenez declared Israel the homeland for the Jews during her speech before the United Nations General Assembly on Saturday. Spain is one of Europe’s leading proponents of the Palestinians’ right to a homeland. Jimenez called Israel “the embodiment of the project to create a homeland for the Jewish people.” She also said Israel’s security is a top issue. She called on the United Nations to help create a Palestinian state within the 1967 borders with land swaps and Jerusalem as the capital of both Israel and a Palestinian state. She also said that the issue of the right of return for Palestinian refugees should be solved in a way that keeps a Jewish majority in Israel. The United Nations Security Council is scheduled to discuss the Palestinians’ bid for statehood. The council will take up the issue, likely informally, on Monday. All 15 members of the council already have received the letter of application presented to the council on Sept. 22 by Palestinian Authority President Mahmoud Abbas. 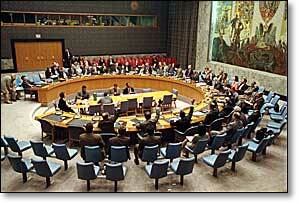 Only the Security Council has the authority to admit new member states to the United Nations. There are currently 193 member states. The five permanent members of the council have veto power; the United States has said it will veto the request. Due to the veto threat, it is unlikely that a formal vote will be taken in the near future. “This is the popular Palestinian Spring,” he declared, calling for the official start of a non-violent intifada against Israel. “Raise your heads with pride; you are Palestinians!” he told the crowd that greeted him in Ramallah. The speech followed his application to the U.N. Security Council on Friday for recognition of the PA as a sovereign state, and its “full membership” in the international body. The U.N. speech, carefully geared to excite the PA street without inflaming it, was nevertheless seen by many in Israel as an exercise in official, institutional incitement “from the top.” Foreign Minister Avigdor Lieberman said over the weekend that the PA leader’s speech from the podium at the U.N. General Assembly was the “worst example of anti-israel incitement and vitriol” he had ever heard. Throughout his address, Abbas referred to Israel as a “colonial occupying power” and accused the Jewish State of deliberately targeting civilians, arbitrarily destroying crops, and demolishing schools, mosques and hospitals. He demanded that the U.N. recognize Judea, Samaria and major portions of Israel’s capital city, Jerusalem, as the PA’s hoped-for state and that Israel end all construction in Jewish communities in those areas as a precondition for any talks. 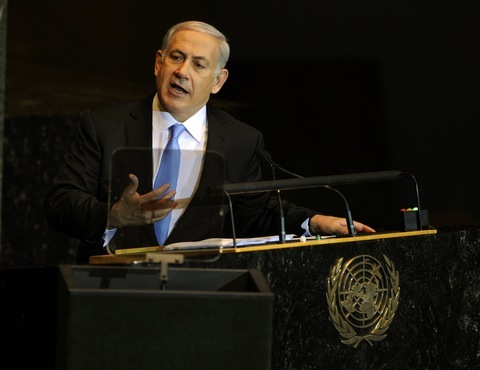 MR. : Theassembly will now hear a statement by His Excellency Benjamin Netanyahu, prime minister of the State of Israel. I have great pleasure in welcoming His Excellency Benjamin Netanyahu, prime minister of the state of Israel. PRIME MINISTER BENJAMINNETANYAHU: Thank you. Thank you. MR. : Iinvite him to address the General Assembly. PRIME MIN. NETANYAHU:Thank you, Mr. President. Ladies and gentlemen, Israelhas extended its hand in peace from the moment it was established 63 years ago.On behalf of Israel and the Jewish people, I extend that hand again today. Iextend it to the people of Egypt and Jordan, with renewed friendship forneighbors with whom we have made peace. I extend it to the people of Turkey,with respect and good will. I extend it to the people of Libya and Tunisia,with admiration for those trying to build a democratic future. I extend it tothe other peoples of North Africa and the Arabian Peninsula, with whom we wantto forge a new beginning. I extend it to the people of Syria, Lebanon and Iran,with awe at the courage of those fighting brutal repression. But most especially, I extendmy hand to the Palestinian people, with whom we seek a just and lasting peace. Ladies and gentlemen, inIsrael our hope for peace never wanes. Our scientists, doctors, and innovatorsapply their genius to improve the world of tomorrow. Our artists, our writers,enrich the heritage of humanity. Now, I know that this is not exactly the imageof Israel that is often portrayed in this hall. After all, it was here in 1975that the age-old yearning of my people to restore our national life in ourancient biblical homeland — it was then that this was branded shamefully, as racism. And it was here in 1980, right here, that thehistoric peace agreement between Israel and Egypt wasn’t praised; it wasdenounced! And it’s here, year after year that Israel is unjustly singled outfor condemnation. It’s singled out for condemnation more often than all thenations of the world combined. Twenty-one out of the 27 General Assemblyresolutions condemn Israel — the one true democracy in the Middle East. Well, this is an unfortunatepart of the U.N. institution. It’s the theater of the absurd. It doesn’tonly cast Israel as the villain; it often casts real villains in leading roles:Gadhafi’s Libya chaired the U.N. Commission on Human Rights; Saddam’s Iraqheaded the U.N. Committee on Disarmament. You might say: That’s thepast. Well, here’s what’s happening now — right now, today, Hezbollah-controlled Lebanon now presides over the U.N. Security Council. Thismeans, in effect, that a terror organization presides over the body entrustedwith guaranteeing the world’s security. You couldn’t make this thingup. So here in the U.N.,automatic majorities can decide anything. They can decide that the sun sets rises in the west. But they can also decide — they have decided — that the Western Wall inJerusalem, Judaism’s holiest place, is occupied Palestinian territory. And yet even here in the GeneralAssembly, the truth can sometimes break through. In 1984 when I was appointedIsrael’s ambassador to the United Nations, I visited the great rabbi ofLubavich. He said to me — and ladies and gentlemen, I don’t want any of you tobe offended because from personal experience of serving here, I know there aremany honorable men and women, many capable and decent people, serving their nations here — But here’s what the rebbe said to me. He said to me, you’ll beserving in a house of many lies. And then he said, remember that even in thedarkest place, the light of a single candle can be seen far and wide. Today I hope that the lightof truth will shine, if only for a few minutes, in a hall that for too long hasbeen a place of darkness for my country. So as Israel’s prime minister, Ididn’t come here to win applause. I came here to speak the truth. The truth is — the truth is that Israel wants peace. The truth isthat I want peace. The truth is that in the Middle East at all times, butespecially during these turbulent days, peace must be anchored in security. Thetruth is that we cannot achieve peace through U.N. resolutions, but onlythrough direct negotiations between the parties. The truth is that so far thePalestinians have refused to negotiate. The truth is that Israel wants peacewith a Palestinian state, but the Palestinians want a state without peace. Andthe truth is you shouldn’t let that happen. Ladies and gentlemen, when Ifirst came here 27 years ago, the world was divided between East and West.Since then the Cold War ended, great civilizations have risen from centuries ofslumber, hundreds of millions have been lifted out of poverty, countless moreare poised to follow, and the remarkable thing is that so far this monumentalhistoric shift has largely occurred peacefully. Yet a malignancy is now growingbetween East and West that threatens the peace of all. It seeks not toliberate, but to enslave, not to build, but to destroy. That malignancy is militantIslam. It cloaks itself in the mantle of a great faith, yet it murders Jews,Christians and Muslims alike with unforgiving impartiality. On September 11thit killed thousands of Americans, and it left the twin towers in smolderingruins. Last night I laid a wreath on the 9/11 memorial. It was deeply moving.But as I was going there, one thing echoed in my mind: the outrageous words ofthe president of Iran on this podium yesterday. He implied that 9/11 was anAmerican conspiracy. Some of you left this hall. All of you should have. Since 9/11, militantIslamists slaughtered countless other innocents — in London and Madrid, inBaghdad and Mumbai, in Tel Aviv and Jerusalem, in every part of Israel. Ibelieve that the greatest danger facing our world is that this fanaticism willarm itself with nuclear weapons. And this is precisely what Iran is trying todo. Can you imagine that man whoranted here yesterday — can you imagine him armed with nuclear weapons? Theinternational community must stop Iran before it’s too late. If Iran is notstopped, we will all face the specter of nuclear terrorism, and the Arab Springcould soon become an Iranian winter. That would be a tragedy. Millions of Arabshave taken to the streets to replace tyranny with liberty, and no one wouldbenefit more than Israel if those committed to freedom and peace would prevail. This is my fervent hope. Butas the prime minister of Israel, I cannot risk the future of the Jewish stateon wishful thinking. Leaders must see reality as it is, not as it ought to be.We must do our best to shape the future, but we cannot wish away the dangers ofthe present. And the world around Israelis definitely becoming more dangerous. Militant Islam has already taken overLebanon and Gaza. It’s determined to tear apart the peace treaties betweenIsrael and Egypt and between Israel and Jordan. It’s poisoned many Arab mindsagainst Jews and Israel, against America and the West. It opposes not thepolicies of Israel but the existence of Israel. Now, some argue that thespread of militant Islam, especially in these turbulent times — if you want toslow it down, they argue, Israel must hurry to make concessions, to maketerritorial compromises. And this theory sounds simple. Basically it goes likethis: Leave the territory, and peace will be advanced. The moderates will bestrengthened, the radicals will be kept at bay. And don’t worry about the peskydetails of how Israel will actually defend itself; international troops will dothe job. These people say to meconstantly: Just make a sweeping offer, and everything will work out. You know,there’s only one problem with that theory. We’ve tried it and it hasn’t worked.In 2000 Israel made a sweeping peace offer that met virtually all of thePalestinian demands. Arafat rejected it. The Palestinians then launched aterror attack that claimed a thousand Israeli lives. Prime Minister Olmertafterwards made an even more sweeping offer, in 2008. President Abbas didn’teven respond to it. But Israel did more than justmake sweeping offers. We actually left territory. We withdrew from Lebanon in2000 and from every square inch of Gaza in 2005. That didn’t calm the Islamicstorm, the militant Islamic storm that threatens us. It only brought the stormcloser and made it stronger. Hezbollah and Hamas firedthousands of rockets against our cities from the very territories we vacated.See, when Israel left Lebanon and Gaza, the moderates didn’t defeat theradicals, the moderates were devoured by the radicals. And I regret to say thatinternational troops like UNIFIL in Lebanon and EUBAM in Gaza didn’t stopthe radicals from attacking Israel. We left Gaza hoping forpeace. We didn’t freeze thesettlements in Gaza, we uprooted them. We did exactly what the theory says: Getout, go back to the 1967 borders, dismantle the settlements. And I don’t think peopleremember how far we went to achieve this. We uprooted thousands of people fromtheir homes. We pulled children out of — out of their schools and theirkindergartens. We bulldozed synagogues. We even — we even moved loved onesfrom their graves. And then, having done all that, we gave the keys of Gaza toPresident Abbas. Now the theory says it shouldall work out, and President Abbas and the Palestinian Authority now could builda peaceful state in Gaza. You can remember that the entire world applauded.They applauded our withdrawal as an act of great statesmanship. It was a boldact of peace. But ladies and gentlemen, wedidn’t get peace. We got war. We got Iran, which through its proxy Hamaspromptly kicked out the Palestinian Authority. The Palestinian Authoritycollapsed in a day — in one day. President Abbas just said onthis podium that the Palestinians are armed only with their hopes and dreams.Yeah, hopes, dreams and 10,000 missiles and Grad rockets supplied by Iran, notto mention the river of lethal weapons now flowing into Gaza from the Sinai,from Libya, and from elsewhere. Thousands of missiles havealready rained down on our cities. So you might understand that, given allthis, Israelis rightly ask: What’s to prevent this from happening again in theWest Bank? See, most of our major cities in the south of the country are withina few dozen kilometers from Gaza. But in the center of the country, oppositethe West Bank, our cities are a few hundred meters or at most a few kilometersaway from the edge of the West Bank. So I want to ask you. Wouldany of you — would any of you bring danger so close to your cities, to yourfamilies? Would you act so recklessly with the lives of your citizens? Israelis are prepared to have a Palestinian state in the West Bank, but we’re notprepared to have another Gaza there. And that’s why we need to have realsecurity arrangements, which the Palestinians simply refuse to negotiate withus. Israelis remember the bitterlessons of Gaza. Many of Israel’s critics ignore them. They irresponsiblyadvise Israel to go down this same perilous path again. Your read what thesepeople say and it’s as if nothing happened — just repeating the same advice,the same formulas as though none of this happened. And these critics continue topress Israel to make far-reaching concessions without first assuring Israel’ssecurity. They praise those who unwittingly feed the insatiable crocodile ofmilitant Islam as bold statesmen. They cast as enemies of peace those of us whoinsist that we must first erect a sturdy barrier to keep the crocodile out, orat the very least jam an iron bar between its gaping jaws. So in the face of the labelsand the libels, Israel must heed better advice. Better a bad press than a goodeulogy, and better still would be a fair press whose sense of history extendsbeyond breakfast, and which recognizes Israel’s legitimate security concerns. I believe that in seriouspeace negotiations, these needs and concerns can be properly addressed, butthey will not be addressed without negotiations. And the needs are many,because Israel is such a tiny country. Without Judea and Samaria, the WestBank, Israel is all of 9 miles wide. I want to put it for you inperspective, because you’re all in the city. That’s about two-thirds the lengthof Manhattan. It’s the distance between Battery Park and Columbia University.And don’t forget that the people who live in Brooklyn and New Jersey areconsiderably nicer than some of Israel’s neighbors. So how do you — how do youprotect such a tiny country, surrounded by people sworn to its destruction andarmed to the teeth by Iran? Obviously you can’t defend it from within thatnarrow space alone. Israel needs greater strategic depth, and that’s exactlywhy Security Council Resolution 242 didn’t require Israel to leave all theterritories it captured in the Six-Day War. It talked about withdrawal fromterritories, to secure and defensible boundaries. And to defend itself, Israelmust therefore maintain a long-term Israeli military presence in criticalstrategic areas in the West Bank. I explained this to PresidentAbbas. He answered that if a Palestinian state was to be a sovereign country,it could never accept such arrangements. Why not? America has had troops inJapan, Germany and South Korea for more than a half a century. Britain has hadan an air base in Cyprus. France has forces inthree independent African nations. None of these states claim that they’re notsovereign countries. And there are many othervital security issues that also must be addressed. Take the issue of airspace.Again, Israel’s small dimensions create huge security problems. America can becrossed by jet airplane in six hours. To fly across Israel, it takes threeminutes. So is Israel’s tiny airspace to be chopped in half and given to aPalestinian state not at peace with Israel? Our major internationalairport is a few kilometers away from the West Bank. Without peace, will ourplanes become targets for antiaircraft missiles placed in the adjacentPalestinian state? And how will we stop the smuggling into the West Bank? It’snot merely the West Bank, it’s the West Bank mountains. It just dominates thecoastal plain where most of Israel’s population sits below. How could weprevent the smuggling into these mountains of those missiles that could befired on our cities? I bring up these problemsbecause they’re not theoretical problems. They’re very real. And for Israelis,they’re life-and- death matters. All these potential cracks in Israel’ssecurity have to be sealed in a peace agreement before a Palestinian state isdeclared, not afterwards, because if you leave it afterwards, they won’t besealed. And these problems will explode in our face and explode the peace. The Palestinians should firstmake peace with Israel and then get their state. But I also want to tell youthis. After such a peace agreement is signed, Israel will not be the lastcountry to welcome a Palestinian state as a new member of the United Nations.We will be the first. And there’s one more thing.Hamas has been violating international law by holding our soldier Gilad Shalitcaptive for five years. They haven’t given even oneRed Cross visit. He’s held in a dungeon, in darkness, against all internationalnorms. Gilad Shalit is the son of Aviva and Noam Shalit. He is the grandson ofZvi Shalit, who escaped the Holocaust by coming to the — in the 1930s as a boyto the land of Israel. Gilad Shalit is the son of every Israeli family. Everynation represented here should demand his immediate release. If youwant to pass a resolution about the Middle East today, that’sthe resolution you should pass. Ladies and gentlemen, lastyear in Israel in Bar-Ilan University, this year in the Knesset and in the U.S.Congress, I laid out my vision for peace in which a demilitarized Palestinianstate recognizes the Jewish state. Yes, the Jewish state. After all, this isthe body that recognized the Jewish state 64 years ago. Now, don’t you thinkit’s about time that Palestinians did the same? The Jewish state of Israelwill always protect the rights of all its minorities, including the more than 1million Arab citizens of Israel. I wish I could say the same thing about afuture Palestinian state, for as Palestinian officials made clear the other day– in fact, I think they made it right here in New York — they said thePalestinian state won’t allow any Jews in it. They’ll be Jew-free — Judenrein.That’s ethnic cleansing. There are laws today in Ramallah that make the sellingof land to Jews punishable by death. That’s racism. And you know which lawsthis evokes. Israel has no intentionwhatsoever to change the democratic character of our state. We just don’t wantthe Palestinians to try to change the Jewish character of our state. We want to give up — we want them to give up the fantasy offlooding Israel with millions of Palestinians. President Abbas just stoodhere, and he said that the core of the Israeli-Palestinian conflict is thesettlements. Well, that’s odd. Our conflict has been raging for — was raging fornearly half a century before there was a single Israeli settlement in the WestBank. So if what President Abbas is saying was true, then the — I guess thatthe settlements he’s talking about are Tel Aviv, Haifa, Jaffa, Be’er Sheva.Maybe that’s what he meant the other day when he said that Israel has beenoccupying Palestinian land for 63 years. He didn’t say from 1967; he said from1948. I hope somebody will bother to ask him this question because itillustrates a simple truth: The core of the conflict is not the settlements.The settlements are a result of the conflict.. The settlements have to be –it’s an issue that has to be addressed and resolved in the course ofnegotiations. But the core of the conflict has always been and unfortunatelyremains the refusal of the Palestinians to recognize a Jewish state in anyborder. I think it’s time that thePalestinian leadership recognizes what every serious international leader hasrecognized, from Lord Balfour and Lloyd George in 1917, to President Truman in1948, to President Obama just two days ago right here: Israel is the Jewishstate. President Abbas, stop walking around this issue. Recognize the Jewish state, and make peace with us. In sucha genuine peace, Israel is prepared to make painful compromises. We believethat the Palestinians should be neither the citizens of Israel nor itssubjects. They should live in a free state of their own. But they should beready, like us, for compromise. And we will know that they’re ready forcompromise and for peace when they start taking Israel’s security requirementsseriously and when they stop denying our historical connection to our ancienthomeland. I often hear them accuseIsrael of Judaizing Jerusalem. That’s like accusing America of AmericanizingWashington, or the British of Anglicizing London. You know why we’re called”Jews”? Because we come from Judea. In my office in Jerusalem,there’s a — there’s an ancient seal. It’s a signet ring of a Jewish officialfrom the time of the Bible. The seal was found right next to the Western Wall,and it dates back 2,700 years, to the time of King Hezekiah. Now, there’s aname of the Jewish official inscribed on the ring in Hebrew. His name wasNetanyahu. That’s my last name. My first name, Benjamin, dates back a thousandyears earlier to Benjamin — Binyamin — the son of Jacob, who was also knownas Israel. Jacob and his 12 sons roamed these same hills of Judea and Samaria4,000 years ago, and there’s been a continuous Jewish presence in the land eversince. And for those Jews who wereexiled from our land, they never stopped dreaming of coming back: Jews inSpain, on the eve of their expulsion; Jews in the Ukraine, fleeing the pogroms;Jews fighting the Warsaw Ghetto, as the Nazis were circling around it. Theynever stopped praying, they never stopped yearning. They whispered: Next yearin Jerusalem. Next year in the promised land. As the prime minister ofIsrael, I speak for a hundred generations of Jews who were dispersed throughoutthe lands, who suffered every evil under the Sun, but who never gave up hope ofrestoring their national life in the one and only Jewish state. Ladies and gentlemen, Icontinue to hope that President Abbas will be my partner in peace. I’ve workedhard to advance that peace. The day I came into office, I called for directnegotiations without preconditions. President Abbas didn’t respond. I outlineda vision of peace of two states for two peoples. He still didn’t respond. Iremoved hundreds of roadblocks and checkpoints, to ease freedom of movement inthe Palestinian areas; this facilitated a fantastic growth in the Palestinianeconomy. But again — no response. I took the unprecedented step of freezingnew buildings in the settlements for 10 months. No prime minister did thatbefore, ever. Once again — you applaud, but there was noresponse. No response. In the last few weeks,American officials have put forward ideas to restart peace talks. There werethings in those ideas about borders that I didn’t like. There were things thereabout the Jewish state that I’m sure the Palestinians didn’t like. But with all my reservations,I was willing to move forward on these American ideas. President Abbas, why don’tyou join me? We have to stop negotiating about the negotiations. Let’s just geton with it. Let’s negotiate peace. I spent years defendingIsrael on the battlefield. I spent decades defending Israel in the court ofpublic opinion. President Abbas, you’ve dedicated your life to advancing thePalestinian cause. Must this conflict continue for generations, or will we be able our children and our grandchildren to speak in years ahead of how wefound a way to end it? That’s what we should aim for, and that’s what I believewe can achieve. In two and a half years, wemet in Jerusalem only once, even though my door has always been open to you. Ifyou wish, I’ll come to Ramallah. Actually, I have a better suggestion. We’veboth just flown thousands of miles to New York. Now we’re in the same city.We’re in the same building. So let’s meet here today in the United Nations. Who’s there to stop us? What is there to stop us? If we genuinelywant peace, what is there to stop us from meeting today and beginning peacenegotiations? And I suggest we talk openlyand honestly. Let’s listen to one another. Let’s do as we say in the MiddleEast: Let’s talk “doogri”. That means straightforward. I’ll tellyou my needs and concerns. You’ll tell me yours. And with God’s help, we’llfind the common ground of peace. There’s an old Arab sayingthat you cannot applaud with one hand. Well, the same is true of peace. Icannot make peace alone. I cannot make peace without you. President Abbas, Iextend my hand — the hand of Israel — in peace. I hope that you will graspthat hand. We are both the sons of Abraham. My people call him Avraham. Yourpeople call him Ibrahim. We share the same patriarch. We dwell in the sameland. Our destinies are intertwined. Let us realize the vision of Isaiah –(Isaiah 9:1in Hebrew) — “The people who walk in darkness will see a greatlight.” Let that light be the light of peace. Netanyahu at the UN: Let’s Make Peace Today, Here at the UN! Israeli President Benjamin Netanyahu addressed the General Assembly of the United Nations only minutes after Palestinian Authority President Mahmoud Abbas called for Recognition of a Palestinian state within the June 4, 1967 borders. Abbas’ speech received thunderous applause. “In 2000 we made the Palestinians a peace offer meeting virtually all of their demands. They rejected it. They then launched an initiative of terror claiming 1000 Israeli lives… We did more than make offers. We left territories. We left Lebanon in 2000, we left every square inch of Gaza in 2005… and this did not calm the militant Islamic storm that threatens us. It only brought it closer and made it stronger. Hizbullah and Hamas sent thousands of rockets from the territories we vacated… see, when we left Gaza, the moderates didn’t defeat the radicals, they were devoured by the radicals. … we left Gaza hoping for peace. we didn’t freeze the settlements in Gaza. we uprooted them. We did exactly what the theory says, we got out. I don’t think people remember how far we went to achieve this. We pulled thousands of people from their homes. We pulled children out of their kindergartens, we bulldozed synagogues, we even moved loved ones from their graves… and then having done all that we gave the keys of Gaza to president Abbas. The theory says it should all work out… and President Abbas and the Palestinian Authority now could build a peaceful state in Gaza. You can remember that the entire world applauded our withdrawal as an act of great statesmanship, a bold act of peace. But we did not get peace, we got war. We got Iran. Which through its proxy Hamas, promptly kicked put the Palestinian Authority which collapsed in ONE day, in a day. President Abbas just said Palestinians are armed only with their hopes and dreams, yes, hopes and dreams and ten thousand missiles and grad rockets supplied by Iran. Not to mention the river of lethal weapons flowing into Gaza from Libya and Syria through the Sinai. Thousands of missiles have already rained down on our cities. So you might understand that given all this, Israelis ask, what’s to prevent this happening again in the West Bank? See, most of our cities in the south of Israel are within 2 kilometers from Gaza, but in the center of the country, our cities are a few hundred meters away from the edge of the West Bank. After contrasting the size of Israel with the size of Manhattan, Netanyahu asked the Assembly members what they would do in his situation. After explaining why Israel cannot make peace without the Palestinians recognition of a Jewish state, he called upon President Abbas to meet with him to discuss peace today in New York. “In two and a half years we met in Jerusalem only once though my door has been open to you. If you want, I will go to Ramallah, or better yet, we both flew thousands of miles to come here, to New York. We’re in the same city. We’re in the same building! I’ll tell you my needs, you’ll tell me yours, and with God’s help, we’ll find the common ground of peace… I cannot make peace alone. I cannot make peace without you. 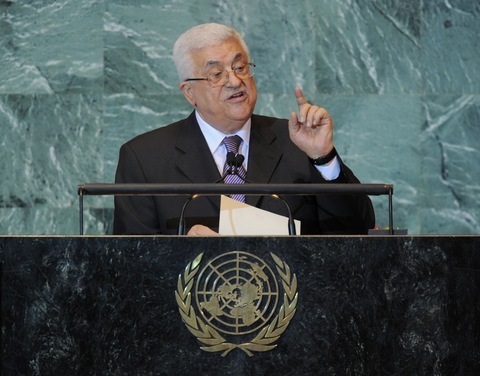 Photo of Mahmoud Abbas by Stan Honda/AFP/Getty Images. Palestinian leader Mahmoud Abbas submitted a formal request for U.N. membership Friday, saying negotiations with Israel had repeatedly broken down without results. Abbas urged the Security Council to vote for full membership, and he called on countries that hadn’t done so already to recognize the state of Palestine. Abbas said Palestinians are seeking a greater and more effective role in the United Nations to obtain legitimate national rights for the Palestinian people, as defined by U.N. resolutions of international legitimacy. He held up a copy of the application to loud cheers in the U.N. chamber. The Israeli government isn’t committing to the terms of the negotiations based on international law and continues to build settlements in Palestinian territories, Abbas said. “This policy will destroy the chances of achieving a two-State solution upon which there is an international consensus, and here I caution aloud: This settlement policy threatens to also undermine the structure of the Palestinian National Authority and even end its existence,” he said, according to translators. Negotiations will be meaningless as long as Israel advances its occupation in order to alter its borders, he said. Read the text of Abbas’ remarks as prepared for delivery here. Photo of Benjamin Netanyahu by Timothy A. Clary/AFP/Getty Images. Israeli Prime Minister Benjamin Netanyahu addressed the U.N. General Assembly later in the afternoon, saying Israel wants peace despite its reputation among some in the United Nations. He said the Palestinians don’t want negotiations. As for settlements, Netanyahu said that in Gaza, the Israelis uprooted thousands of people from their homes, took children out of schools, leveled synagogues and unburied some graves. “But ladies and gentlemen, we didn’t get peace. We got war,” he said. And Israel is called upon to make increasing concessions without ensuring its security. “The Palestinians should make peace with Israel and then get their state,” said Netanyahu. The U.N. website did not have the text of Netanyahu’s remarks. Statements are supplied by the country of origin. The Obama administration has promised to veto the Palestinian request for membership if the U.N. Security Council takes it up, saying it would circumvent the peace process with Israel. Palestinian Authority President Mahmoud Abbas took the stage at the United Nations General Assembly, minutes after he submitted an official request to General-Secretary Ban Ki-Moon for full membership for “Palestine” to the body of the United Nations. To thunderous applause, Abbas called for a Palestinian state with the “Full borders of June 4, 1967” to be inducted as a full member of the United Nations. Telling the General Assembly that it is time for a “Palestinian Spring,” one theme consistently repeated itself: Israelis are merely an occupying power. “Criminal actions of armed civilian militias.. have intensified with frequent attacks against our people targeting schools, universities, mosques, fields, crops, and trees. “When we bring our plight here…. it is obvious we are not taking unilateral steps, our intention is not to de-legitimize israel, only the settlement activities and apartheid policies. 1. The release of “prisoners of freedom” and Palestinians in Israeli prisons without delay. 3. The right to “peacefully protest”Israel’s apartheid policies. Ms. Goodman is the Editor of History Musings and JBuzz. She has a BA in History & Art History & a Masters in Library and Information Studies from McGill University, and has done graduate work in Jewish Studies at Concordia University. Palestinians Formally Request U.N. Membership: Resisting American pressure, President Mahmoud Abbas of the Palestinian Authority formally requested full United Nations membership on Friday as a path toward statehood, rejecting arguments by the United States and Israel that it was not a substitute for direct negotiations for peace in the Middle East. Abbas stakes Palestinian claim to state at U.N.: Palestinian President Mahmoud Abbas asked the United Nations on Friday to recognize a state for his people, even though Israel still occupies its territory and the United States has vowed to veto the move. Abbas asks for statehood: Palestinian Authority President Mahmoud Abbas formally applied for statehood recognition at the United Nations. Abbas handed his application to U.N. Secretary-General Ban Ki-moon on Friday morning, shortly ahead of his planned speech to the General Assembly. The request will to the Security Council, where it requires a nine-vote majority to pass. However, any of the five permanent Security Council nations can veto it, and the United States has vowed to exercise its veto. Abbas Already Presented Official Request to UN: Palestinian Authority President Mahmoud Abbas has already presentedpalestinian poster the official request for full membership of the United Nations body to the Secretary-General of the United Nations, Ban Ki-Moon. Representatives of Iran, Cuba and Lebanon blasted Israel at the Durban Review Conference at the United Nations. Thursday’s conference was called to mark the 10th anniversary of the U.N. World Conference against Racism, Racial Discrimination, Xenophobia and Related Intolerance held in Durban, South Africa in 2001. The ostensible purpose of that gathering a decade ago was to talk about racism, but it quickly turned into an Israel-bashing extravaganza. Israel, the United States, Jewish groups and some European countries have denigrated the Durban process since, skipping the 2009 Durban Review Conference in Geneva as well as this week’s gathering in New York. As an alternative, Jewish groups organized a counter-conference nearby on Thursday to spotlight the hypocrisy of the Durban process. The absence of the world’s leading democracies at the UN-sponsored Durban III anti-racism ten-year commemoration event, which opened in New York on Thursday, sparked controversy at the UN General Assembly meeting and served as a setback for the Durban process. Dubbed Durban after the city in South Africa where the first conference took place in 2001, the anti-racism process has become, according to many of the 14 countries that pulled out of Durban III, a political event to gut the advancement of human rights and foment hatred of the Jewish state. The world leaders from the 179 countries who participated in Durban III adopted a political declaration ,which purports to renew “ their commitment for real action to prevent and combat racism, racial discrimination, xenophobia and related intolerance, and to focus on the concerns of the victims.” According to critics, the Durban political declaration, which was reaffirmed at the commemoration event, singles out and attacks only Israel for criticism and alleged violations of human rights. Ambassador Isabelle Pico from Monaco, who represented Western Europe’s countries, alluded to the noticeable lack of their member countries at the event. “While a number of countries from our group are not participating and in spite of the fact that some countries do not participate in this process,” Western European countries will continue to promote equality. France, the United Kingdom, the Netherlands, Austria, Italy and Germany skipped the Durban III event because those countries’ foreign ministries viewed the Durban III planning process and Thursday’s commemoration event to be contaminated with anti-Semitism, racism, and hatred of foreigners. The Eastern Europe nations of Poland ,Bulgaria, and the Czech Republic boycotted the commemoration event for similar reasons. The United States, Israel, Australia, Canada, and New Zealand pulled the plug on their participation in the event as well . While no country or individual leader was cited during the speeches, UN Secretary-General Ban Ki-moon indirectly referenced the second Durban 2009 conference and Iranian President Mahmoud Ahmadinejad’s tirades against Israel. Ban Ki-moon said “we should condemn anyone who uses this platform to subvert with inflammatory speech.” He added that “we are aware that the Durban conference caused immense controversy, “ and alluded to the year 2009. Ban Ki-moon was the only speaker to tell the General Assembly to take a stand against “anti-Semitism” He also called on the member states to fight Islamophobia and persecution against Christians and discrimination based on gender and sexual orientation. The other diplomatic speakers were from Sudan, Indonesia, and Jamaica. The UN-sponsored Goldstone report accused Israel of war crimes in 2008/2009 during operation cast lead in the Gaza Strip. The report’s main author, lawyer Richard Goldstone, has retracted the finding of war crimes against Israel and shifted the blame to Hamas, the terror entity that controls Gaza, as the responsible party for transgressions of human rights and international law. As the Palestinian statehood bid draws increasing support at the United Nations convention in New York, key member states have distanced themselves from a conference marking the ten-year anniversary of the Durban anti-racism conference in South Africa, in which both the United States as well as Israel stepped out due its alleged anti-Israel agenda. Israel has asked friendly nations to stay away from this year’s event. The 2001 anti-racism conference was criticized for its harsh language against Zionism’s “racist practices,” calling the Zionist movement one that is “based on racial superiority.” The draft document containing these statements prompted the U.S. and Israel to withdraw their delegations. In 2009, the “Durban II” conference was held in Geneva, and made headlines after Iranian President Mahmoud Ahmadinejad gave a speech in which he attacked Israel and denied the Holocaust. Secretary-General Ban Ki-moon attended the conference Thursday, and urged all countries to “stand firmly” against anti-Semitism and Islamophobia and reject discrimination against Christians. The countries who pledged not to attend the conference include nine EU countries, as well as Australia, Canada, and the U.S.
Iran’s Ahmedinejad, however, is expected to take part once more. A counter conference was held at the Millennium Plaza hotel in New York on Thursday to protest the Durban III convention and its allegedly anti-Israel and anti-Semitic agenda. High profile speakers included Israeli Ambassador to the UN Ron Prosor, President of the World Jewish Congress Ron Lauder, Israeli Minister of Information and Diaspora Yuli Edelstein, Harvard Professor Alan Dershowitz, actor Jon Voight, former New York City Mayor Ed Koch, former Israeli Ambassador to the UN Dore Gold, and others. The U.S. Consulate has banned its personnel from visiting the Old City of Jerusalem due to fears of violence. The letter, dated Sept. 21, said that the consulate would prohibit its official mission personnel from visiting the Old City of Jerusalem on Friday. “This prohibition is due to the potential for demonstrations and large gatherings inside the Old City that day,” the letter says. While it does not specify why there is this potential, it is likely because Palestinian Authority President Mahmoud Abbas on that day is due to speak before the United Nations General Assembly and present a request to make Palestine the 194th member of the United Nations to the U.N. Security Council. “The U.S. Consulate General reminds U.S. citizens that even peaceful marches and demonstrations can turn violent with little or no warning,” the letter warns. It was quite clear that U.S. President Barack Obama’s speech, which Foreign Minister Avigdor Lieberman said he “would sign with both hands,” would draw mixed reactions. Its failure to go into details about the Israeli-Palestinian issue was assumed to be due to a combination of re-election concerns and those of slipping Jewish support. But the U.S. Jewish organizations provided varying – in some cases even polar – responses to the speech. U.S. President Barack Obama addresses the 66th United Nations General Assembly at the UN headquarters in New York, September 21, 2011. 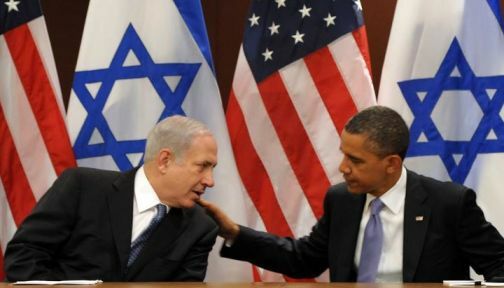 “As he has proven throughout his presidency, President Obama supports Israel and its people instinctively. Israel truly has no better friend in the world today,” NJDC leaders Marc Stanley and David Harris said in a joint statement Wednesday. “On behalf of the National Jewish Democratic Council’s Board of Directors and leadership, we wish to express our thanks to President Barack Obama for passionately and eloquently standing up for Israel and the Jewish State’s security needs at the United Nations today,” they said. The American Israel Public Affairs Committee (AIPAC) welcomed the speech. “AIPAC appreciates the President’s “unshakeable” commitment to Israel’s security and his clear statements outlining the daily dangers and strategic threats facing Israel. President Obama demonstrated his understanding of Israel’s legitimate requirements when he stated that the Jewish people – in their historic homeland – deserve recognition and normal relations with their neighbors,” the Jewish lobby said. The Conference of Presidents Chairman Richard Stone and Executive Vice Chairman Malcolm Hoenlein welcomed Obama’s comments at the opening session of the UN General Assembly in support of direct negotiations, and his rejection of solutions imposed by outside parties, unilateral moves, or one sided declarations at the United Nations. “The President correctly and clearly identified Israel’s security needs and challenges,” said the Conference of Presidents heads. “The President said that “the Jewish people have forged a successful state in their historic homeland” and that “Israel deserves recognition.” We specially note this formulation not only because it reaffirmed a historic truth but also because many in the hall he was addressing have sought to deny Israel’s ancient and constant connection to the land and others have refuse to recognize it as the Jewish State,” their statement continued. Jewish Council for Public Affairs President Rabbi Steve Gutow praised Obama for saying the United States is dedicated to achieving peace through bilateral negotiations. But on the left side of the map, the disappointment was palpable. Americans for Peace Now President and CEO Debra DeLee said Obama’s speech, while saying the Americans support peace, offered little hope to Israelis and Palestinians. “Israelis want and deserve peace and security as much as anyone in the region. Palestinians want and deserve freedom and self-determination as much as Egyptians, Tunisians, or Libyans. The United States cannot maintain credibility as the standard-bearer of rights and freedoms while the Israeli-Palestinians conflict is left to fester,” said DeLee. DeLee called upon the U.S. President to use his time at the United Nations this week as an opportunity to bring the Israelis and Palestinians back to negotiations. “Only this can re-establish and re-assert U.S. credibility and re-inject hope for an end to this conflict,” she said. When Minister of Foreign Affairs Avigdor Lieberman praises US President Barack Obama, it is no wonder that the Palestinians and their supporters are upset. In yesterday’s speech to the UN General Assembly, Obama was actually directing his remarks at one of his most important domestic audiences – Jewish voters in the US, whose traditional support for the Democrats has been wavering in the run up for next year’s US elections. Obama spoke at length on the Israeli-Palestinian dispute, but his message to the Palestinians could be summed up in one phrase: there are no shortcuts to peace. The Palestinians did not have high hopes, as the US has been lobbying heavily on UN Security Council members to vote against giving Palestine UN membership. But they had hoped that Obama would reiterate his May structure for ending the conflict, specifically that the 1967 border would be the basis for an Israeli-Palestinian peace agreement. The Palestinians also hoped to hear criticism of Israel’s settlements, which every US government since the Johnson administration has considered illegal. Instead, Obama’s remarks were fully pro-Israel, as if written by parameters set by the Netanyahu government. The remark “there is no short cut to the end of a conflict” -i.e. forget about a UN vote – grabbed the listeners attention. Prime Minister Benjamin Netanyahu is celebrating. So is AIPAC. The Palestinians are furious. Palestinian Authority President Mahmoud Abbas (Abu-Mazen) put his hands to his head in a gesture of despair. For the full text of the speech, click here. Obama, at U.N., Explains Rationale for Opposing Palestinian Statehood Bid: President Obama declared his opposition to the Palestinian Authority’s bid for statehood through the Security Council on Wednesday, throwing the weight of the United States directly in the path of the Arab democracy movement even as he hailed what he called the democratic aspirations that have taken hold throughout the Middle East and North Africa. Obama urges U.N. to stay out of Israel-Palestinian conflict: President Obama urged world leaders Wednesday morning to stay out of the conflict over Palestinian statehood as American diplomats pushed to delay a vote on the question during this week’s general assembly of the United Nations. Speaking to the full assembly, Obama argued that the two sides will never live in peace unless they work it out themselves. Obama U.N. speech: ‘No shortcut’ to Mideast peace: President Barack Obama told a meeting of the United Nations General Assembly Wednesday that Mideast peace “will not come through statements and resolutions” by the world body, arguing against a proposed resolution calling for U.N. recognition of Palestine as a sovereign state. Barak: Obama Speech Proves His Friendship with Israel: Defense Minister Ehud Barak (Atzmaut) responded to United States President Barack Obama’s United Nations General Assembly address on Wednesday, saying the speech was proof of the strong relationship between the American leader and Israel. France Breaks With Obama on Palestinian Statehood Issue: President Nicolas Sarkozy of France broke sharply on Wednesday with the effort by the Obama administration and some Europeans to quash the effort by the Palestinians for recognition here, instead calling for enhancing their status in the General Assembly to that of an observer state. Obama stands firm against Palestinian statehood plan: U.S. President Barack Obama on Wednesday rejected Palestinian plans to seek UN blessing for statehood and urged a return to peace talks with Israel as he tried to head off a looming diplomatic disaster. Addressing the UN General Assembly, Obama — whose earlier peace efforts accomplished little — insisted Middle East peace “will not come through statements and resolutions” at the world body and put the onus on the two sides to break a yearlong impasse. “There is no short cut to the end of a conflict that has endured for decades. Peace is hard work,” Obama told an annual gathering of world leaders. Accounts of the big diplomatic showdown facing the United Nations when the Palestinian bid for statehood is filed Friday, Sept. 23 have been blown up and over-dramatized. Neither the Security Council nor the UN General Assembly will be making any immediate decisions this week and US President Barack Obama will not be called on as yet to veto the Palestinian application. Therefore the dispute over which side can muster the magic majority of nine members is premature. Indeed, debkafile’s diplomatic sources are assured that UN Secretary Ban Ki-moon and the United States, which holds the key to the tussle, have arranged to put the Palestinian application on hold – or more diplomatically, under consideration, a process which could consume weeks if not months – before it is referred to the Security Council. In the volatile Middle East, a couple of months are a long time; the Arab uprisings have demonstrated how much can happen in a short period. After the Palestinian leader Mahmoud Abbas and Israeli Prime Minister Binyamin Netanyahu deliver their speeches on Friday, the General Assembly is not expected to get right down to debating the Palestinian request. It will most likely be held in abeyance for the next session. A special session might be summoned in the interim, but that is the UN Secretary General’s prerogative and he normally makes these decisions in consultation with the White House. Therefore, the real diplomatic battle over the Palestinian drive for UN acceptance will not take place this week in the GA chamber where the speeches are made, but in Washington. The Obama administration has absurdly been maneuvered, or maneuvered itself, into the lead role for defeating the Palestinian claim for an independent state within the 1967 borders. The high point of Obama’s May 19 address on the Middle East was a call for Israel to accept a Palestinian state based on the 1967 borders. He refrained from a demand to demilitarize the prospective state. Five months later, he is bending every ounce of diplomatic leverage to prevent the Security Council from approving a Palestinian state’s acceptance by the world body. Obama’s path to this quandary was littered with missteps. His ultimatum to the Netanyahu government to halt settlement construction on the West Bank was later abandoned but it had meanwhile been hijacked by Abbas as his main pretext for rejecting direct talks with Israel and turning to the UN. Further US weakness was displayed in the Middle East Quartet’s inability to reach a decision this week on how to deal with the diplomatic crisis posed by the Palestinian bid. Composed of representatives from the US, Russia, the European Union and the UN, the Quartet used to be the supreme body for shaping international consensus on the Israel-Palestinian conflict. This time, Washington’s lead was not strong enough to pull the parties together and, moreover, the US and Europe are discovering they are beginning to pay for their involvement through NATO in the Libyan conflict. Russia is playing hard to get and deliberately slowing the momentum of Middle East diplomacy in protest against what Moscow sees as US and European participation in the conquest of Libya, which has gone well beyond their UN Security Council mandate. The Russians were also obstructive on the Syrian issue. They torpedoed every Security Council resolution penalizing and condemning Bashar Assad for his barbaric methods in suppressing dissent, maintaining they would not allow the West to repeat its Libya scenario in Syria. Now, Moscow is trying to trap the United States into exercising its Security Council veto power against the Palestinian application for UN membership, in order to support its claim that Washington maintains a double standard on the Middle East – defeating Palestinian independence on the one hand and preaching the Arab peoples’ rights to oust their rulers in the name of independence, on the other. Moscow, partnered actively by Mahmoud Abbas, would thus aim to strip the United States of its last vestiges of credibility in the Arab world. With no exit from this predicament, Washington and Jerusalem are resorting to the language of threats. The Palestinians are warned by White House sources that unless they withdraw their application for UN recognition, they will face severe measures. They were given to understand that the Palestinian Authority in Ramallah stood to lose all or part of the half-billion dollars of its annual aid allocation. Israeli Finance Minister Yuval Steinitz also warned Tuesday, Sept. 20, that Israel would consider halting the transfer of customs revenues to the PA.
Abbas and his party are putting a brave face on these threats. They say loss of income will not deter them from their drive for UN acceptance. The Palestinians say their Arab allies have pledged to make up any shortfall sustained in consequence of their UN initiative. But they know as well as anyone that no Arab government aside from Saudi Arabia and some of the Arab Gulf emirates will make good on those pledges because they are all wholly preoccupied with the unrest sweeping their streets and have no time or cash to spare for the Palestinians. Once the Abbas initiative is seen to be hanging fire, the situation on Palestinian home ground could turn nasty. Ramallah, Wednesday, Sept. 21, saw the first large Palestinian gathering of several marches and rallies scheduled for the coming days to celebrate their approaching independence. These demonstrations of joy, financed by Abbas and his associates out of the PA’s half-empty coffers, are scheduled to climax with his speech Friday and roll on into Saturday. However, once the penny drops and the Palestinian request is seen to be held up, these rallies may turn to violence against the security forces fielded both by Abbas and Israel to keep them within bounds and out of Israeli locations. It is more than likely that Hamas, which rules the separate Palestinian Gaza Strip, the Islamic Jihad and Hizballah – both Iranian proxies – will turn the crowded streets into stages for mounting terrorist activity, without even waiting for instructions from Tehran and Damascus. They would aim not just to punish Israel but to torpedo the Palestinian UN initiative which the rejectionists and extremists regard as a forbidden compromise on their claim to every inch of Palestinian soil and Israel’s removal. They would also seek to challenge the credibility and potency of the Palestinian leader and his US-trained security legions. This outlook will be further exacerbated when the Palestinian Authority, deprived of aid funds, cannot pay wages to civil and security personnel. Without pay, they may well vent their frustrations on the Palestinian Authority heads, especially Abbas, and Israel. No one can tell whether Syria, where Assad is in the last stages of suppressing the uprising against his regime, and Iran – through Hizballah, Hamas and Jihad Islami – will intervene. With these fraught prospects in mind, it is no wonder that the Israeli Prime Minister delayed his takeoff for New York by 45 minutes Wednesday morning for an urgent conference at the airport with Chief of Staff Lieutenant General Benny Gantz. Later Wednesday, he has an appointment at UN Center with President Obama. 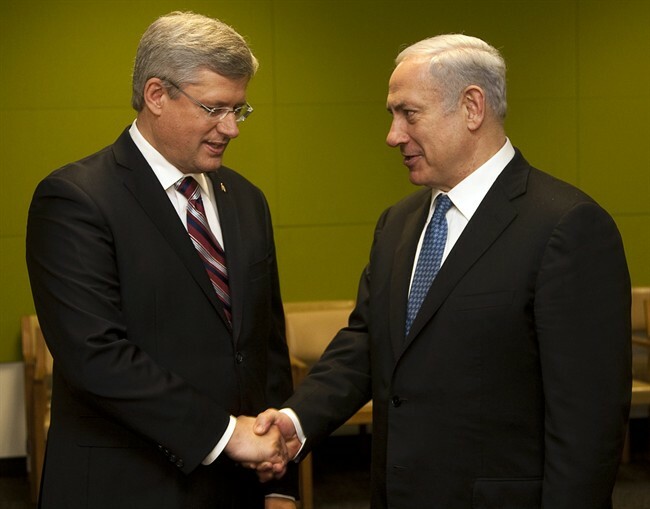 Israeli Prime Minister Benjamin Netanyahu has thanked Prime Minister Stephen Harper for his support for Israel. The two leaders met at the United Nations on Wednesday as Harper wound up a two-day New York visit. During a brief photo op, the two men both said the solution to the Israel-Palestinian impasse lies in a resumption of two-way peace talks, not a United Nations declaration of statehood for Palestine. President Obama: As I just said in the speech that I gave before the UN General Assembly, the bonds between the United States and Israel are unbreakable, and the United States’ commitment to Israel’s security is unbreakable. Indeed, I think it’s fair to say that today our security cooperation is stronger than it has ever been. I’m looking forward to a good discussion with Prime Minister Netanyahu about the events not only here in the United Nations, but also of the developments that have been taking place in the region. Israelis and Palestinians sitting down together and working through these very difficult issues that have kept the parties apart for decades now… the ultimate goal of all of us, which is two states, side by side, living in peace and security. Recent events in the region remind us of how fragile peace can be and why the pursuit of Middle East peace is more urgent than ever. I think we need to pursue that peace, and know that the Prime Minister recognizes that America’s commitment to Israel will never waiver and that our pursuit of a just and lasting peace is one that is, not only compatible, but we think puts Israel’s security at the forefront. PM Netanyahu: I want to thank you, Mr. President, for standing with Israel and supporting peace through direct negotiations. We both agree this is the only way to achieve peace. We both agree that Palestinians and the Israelis should sit down together and negotiate an agreement of mutual recognition and security. I think this is the only way to get to a stable and durable peace. You’ve also made it clear that the Palestinians deserve a state, but it’s a state that has to make that peace with Israel, and therefore their attempt to shortcut this process, not negotiate peace – that attempt to get state membership in the United Nations will not succeed. I think the Palestinians want to achieve a state in the international community, but they’re not prepared yet to give peace to Israel in return. And my hope is that there will be other leaders in the world, as part of the UN, who will meet your call, Mr. President, and oppose this effort to shortcut peace negotiations – in fact to avoid them – because I think that avoiding these negotiations is bad for Israel, bad for the Palestinians and bad for peace. I know that these leaders are under enormous pressure and I know that they are also in this house which has, from personal experience I can tell you, automatic majorities against Israel, but I think that standing your ground, taking this position of principle, which is also, I think, the right position to achieve peace – I think this is a badge of honor and I want to thank you for wearing that badge of honor, and also to express my hope that others will follow your example, Mr. President. So I want to thank you. הנשיא אובמה: כפי שאמרתי כרגע בנאומי בפני עצרת הכללית באו”ם, הקשרים בין ארצות הברית לבין ישראל הם בלתי שבירים, והתחייבותה של ארצות הברית לביטחונה של ישראל בלתי שבירה אף היא. אכן, אני סבור שאפשר לומר שכיום שיתוף הפעולה הביטחוני בינינו איתן מתמיד. אני מצפה לשיחה טובה עם ראש הממשלה נתניהו לא רק לגבי האירועים שמתרחשים כאן בעצרת האו”ם, אלא גם לגבי ההתפתחויות האזוריות. כפי שציינתי, אי אפשר לכפות שלום על הצדדים. חייבים לנהל משא ומתן. הצהרות חד-צדדיות באו”ם לא ישיגו מעמד של מדינה ולא הגדרה עצמית לפלסטינים. ישראלים ופלסטינים חייבים לשבת ולעבוד ביחד כדי לדון בנושאים הקשים הללו שמפרידים בין הצדדים במשך עשורים רבים. זוהי המטרה המשותפת של כולנו – שתי מדינות, זו לצד זו, החיות בשלום וביטחון אחת עם השנייה. אירועים שהתרחשו באזור לאחרונה ממחישים לנו עד כמה השלום יכול להיות שברירי ומדוע החתירה לשלום במזרח התיכון חשובה היום יותר מאי פעם. עלינו לחתור לשלום הזה. אני יודע שראש הממשלה מודע לכך שמחויבותה של ארצות הברית לישראל בלתי ניתנת לערעור וששאיפתנו לשלום צודק ובר קיימא איננה רק נכונה, אלא גם מציבה את ביטחונה של ישראל בעדיפות העליונה. לכן, עונג רב לי לארח את ראש הממשלה כאן. ברצוני להודות לו על מאמציו. רה”מ נתניהו: ברצוני להודות לך, אדוני הנשיא, על תמיכתך בישראל ועל תמיכתך בשלום שיושג דרך משא ומתן ישיר. שנינו מסכימים שזוהי הדרך היחידה להשיג שלום. אנחנו מסכימים שעל הפלסטינים והישראלים לשבת יחד ולנהל משא ומתן על הסכם של הכרה הדדית וביטחון. בעיניי, זוהי הדרך היחידה להשיג שלום יציב ובר קיימא. הבהרת גם שהפלסטינים זכאים למדינה, אבל על המדינה הזו לעשות שלום עם ישראל, ולכן הניסיון שלהם לקצר התהליך ולא לנהל משא ומתן, הניסיון לזכות בחברות מדינית באו”ם לא יצליח. לדעתי, הפלסטינים רוצים להשיג מדינה בקהילה הבינלאומית, אולם הם אינם מוכנים להעניק לישראל שלום בתמורה.